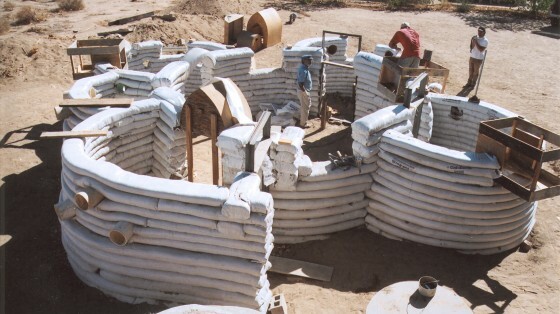 Earth bag construction is one of the most affordable and sustainable ways to build a home that is harmonious with the earth. 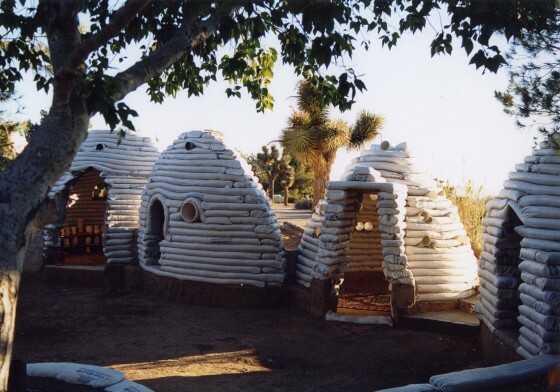 Nader Khalili was a big proponent of this “super adobe” style structure. If Hassan Fathy is the father of sustainable architecture, then Nader Khalili must be his close cousin. 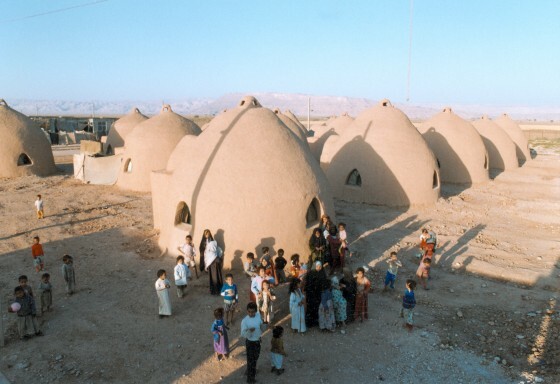 The Egyptian and Iranian architects respectively grew up with an interest in housing poor populations and refugees with earth architecture and both made enormous contributions to the modern application of ancient building techniques. But Khalili, who spent much of his career in the United States and received awards from the Aga Khan Foundation, NASA, and the United Nations, veered down a particularly unconventional path. Inspired by the mystic poet Rumi, timeless principles, and timeless materials, Khalili was renowned for his fixation on creating earth-based architecture with lunar and space applications, according to Arch1Design. In 1984, he described to scientists at a NASA symposium called ““Lunar Bases and Space Activities of the 21st Century” how to build “magma structures” based on the Geltaftan earth-and-fire ceramic system he founded. He was subsequently invited to the Los Alamos National Laboratory as a visiting scientist. In addition to writing six books and translating over 300 Rumi poems into English, Khalili found time to initiate the Geltaftan Foundation in 1986 and the California Institute of Earth Art and Architecture – CalEarth – in 1991. 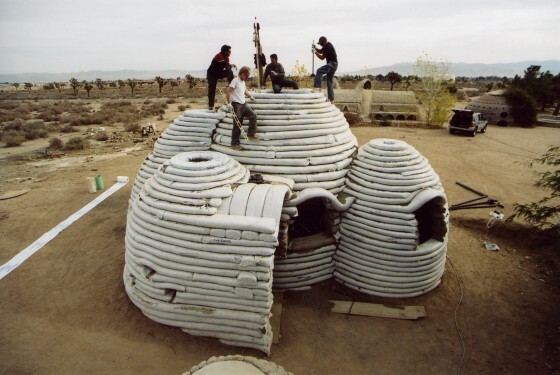 He is also responsible for a host of uber-sustainable designs including a futuristic community for 5,000 people in New Cuyama, California, a 20,000 strong community in Isfahan, Iran, and several earth-bag shelters, in addition to well over 100 “normal” commercial and residential projects. 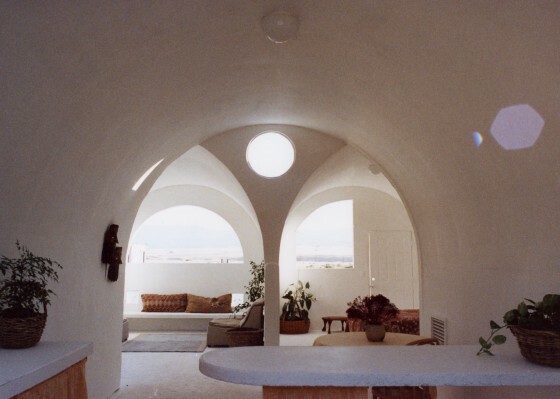 Despite being made from earth, air, water, and fire – the elements so crucial to Khalili’s metaphysics – these homes also include aesthetically-pleasing domes and arches and perform well in seismic conditions. Most importantly, a 14 square meter earth bag home costs little more than $4 to construct, the Aga Khan Foundation wrote in 1995. Today they will cost more, but not much. Although technology has brought much progress and should not be discounted, Nader Khalili’s low cost and low-tech architecture is accessible to a greater portion of the population and may even be useful on the moon and out in space! This is what we call sustainable. Next Next post: Will Bike Sharing Become the New Mode of Transportation for the Middle East? Together with every thing that seems to be building inside this specific subject material, all your opinions are actually very exciting. Having said that, I appologize, but I do not give credence to your whole suggestion, all be it refreshing none the less. It would seem to us that your commentary are actually not entirely justified and in fact you are generally yourself not even thoroughly convinced of your argument. In any case I did take pleasure in reading through it. With havin so much content and articles do you ever run into any problems of plagorism or copyright infringement? My website has a lot of unique content I’ve either created myself or outsourced but it seems a lot of it is popping it up all over the web without my permission. Do you know any methods to help protect against content from being stolen? I’d genuinely appreciate it. I do enjoy the manner in which you have framed this difficulty plus it does indeed supply me some fodder for thought. On the other hand, from what precisely I have experienced, I just simply hope as the opinions stack on that people today continue to be on point and in no way start on a tirade associated with some other news of the day. Still, thank you for this fantastic piece and while I do not agree with the idea in totality, I value the perspective. Thanks Iqdam, we are also big fans of bamboo. It grows quickly, can be adapted to so many uses, and looks good too! I wonder if gat can be used the way hemp is used in America. wonderfull, it reminds me the iglo of the northpole house. May be certain areas which has bamboo should use what is cheaply available.